Listen Technologies' co-founder and vice president of business development, Cory Schaeffer, was honored with a Women in AV Award by InfoComm International. The award was presented at InfoComm 2014, which took place June 14-20 at the Las Vegas Convention Center in Las Vegas, NV. Schaeffer received her award alongside fellow honoree Jan Sandri, founding member of FSR, a well-known manufacturer of a wide variety of products for the AV industry. Listen Technologies' co-founder and vice president of business development, Cory Schaeffer, was honored with a Women in AV Award by InfoComm International. In 1998, Schaeffer co-founded Listen Technologies. In 2011, Listen Technologies was named the most recognizable brand of assistive listening system in North America. Listen products are now sold worldwide in more than 30 countries. Schaeffer’s talents in the AV industry extend beyond sales and business development. She holds two patents for her contributions to the ListenPoint product line. In addition, Cory played a key role in establishing partnerships with Ampetronic, the global leader in hearing loop systems, and Televic Conferencing. Schaeffer is deeply committed to shining a spotlight on what she calls the invisible disability of hearing loss. She has been involved in supporting the HLAA Utah Walk4Hearing. She is a thought leader within the AV industry, building awareness about hearing loss, the ADA standards, and hearing loss prevention. She contributes regularly to the InfoComm International's “All Voices” blog. In Utah, Schaeffer leads the effort to build awareness for the AV industry. For the past six years she has successfully lobbied Utah’s governor, the mayors of Salt Lake County and Park City, and the Bluffdale City Council to proclaim one week every October as AV Week. During AV Week, Schaeffer organizes community activities to highlight the AV industry, including tours of AV systems in the Capitol Theater, the Utah State Capitol, Rio Tinto Stadium, Adobe and the Hale Theater. She has also spearheaded fundraising efforts to purchase AV equipment for a Utah school. Schaeffer is motivated by creating and selling products that change lives, whether it is helping the hearing-impaired participate in church services or a student hear instructions in the classroom. 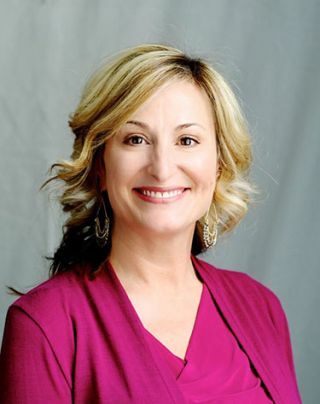 This has taken her to the top of her profession: the industry recognized Cory’s impact on AV technology by electing her to the Board of Directors for InfoComm International to serve a four-year term from 2009 to 2012. The Women in AV Award was created by InfoComm to raise awareness of the growing role of female professionals in the male-dominated field of audiovisual technology. These award winners are in the upper echelon of AV professionals and symbolize the strength of entrepreneurship and excellence in developing tomorrow’s AV talent.